Strange and terrible things begin to happen to four teenagers — all born on the same Valentine’s Day. One of these teenagers is the Valentine: a Seelie fairy changeling swapped for a human child at its birth. The Unseelie have come to kill the Valentine — except they don’t know who it is. This was definitely a case of “right book, right time” for me. I’d meant to review something else, but it was clear from the first page that we weren’t going to get along. Since I had a Monsterhearts game coming up, I thought I’d give Valentine a go instead. It turned out to be the perfect mood-setter. But I think I was always going to love this book. As I’ve mentioned before, I was a huge fan of Holly Black’s Tithe, and Valentine hits many of the same buttons. The book starts off with a strange event–a black horse mysteriously showing up at a party–and things get stranger around Pearl. If you like your faeries with teeth, this is definitely a book to check out. It makes use of some of the less commonly known or used pieces of faerie lore, such as elf-locks, though it doesn’t always play them straight. Pearl isn’t stupid and recognises something weird is going on, though she sometimes wavers in that belief. She’s a relatable character in many ways, taking her responsibilities seriously and angsting over what other people think of her. She’s brave and loyal, while also being afraid and, at times, hypocritical. She neglects her best friend but doesn’t hesitate to put herself in danger for the people she cares about. The book is told in first person and is lightly sprinkled with pop-culture references and text speak. This is not going to suit everyone. I thought it contributed to making Pearl’s voice a strong one. The reference to the eternal conundrum of Sherlock vs Elementary made me smile. Facebook also plays a role in the plot as a way the characters keep in contact. Valentine embraces the modern era, rather than trying to work around it. I also love a good enemies-to-lovers story. It’s clear from the outset that Finn isn’t as disdainful of Pearl as she is of him, though that doesn’t prevent him from expressing anger and irritation towards her where it’s warranted. Watching Pearl’s opinion of him grow and improve was a delight. Not everyone is going to like the ending, particularly since it deviates from certain genre expectations, but I found it a mature change. The story is also set in Australia, which results in some subtle cultural shifts. The common US stereotypes of jocks, nerds and goths are absent. Instead, there are some distinctly Australian elements, like school captains and Pearl’s job as a lifeguard at the local pool. 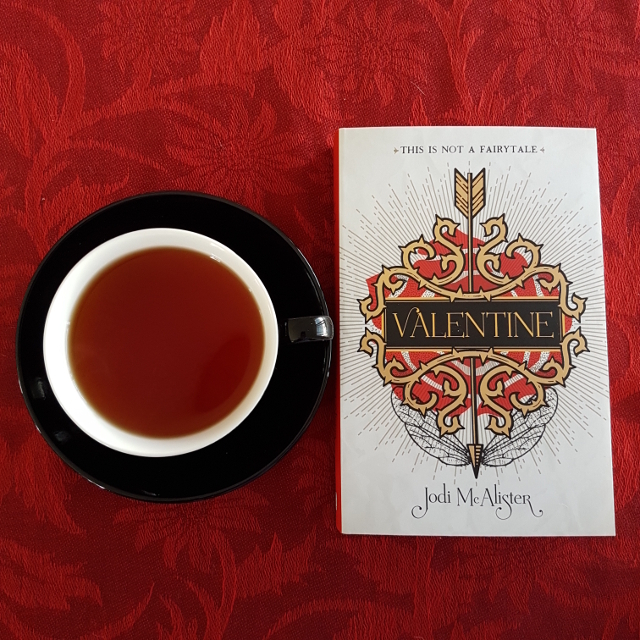 Overall, I found Valentine a fresh and intelligent take on faerie YA urban fantasy. I can’t wait to get my hands on the next book.